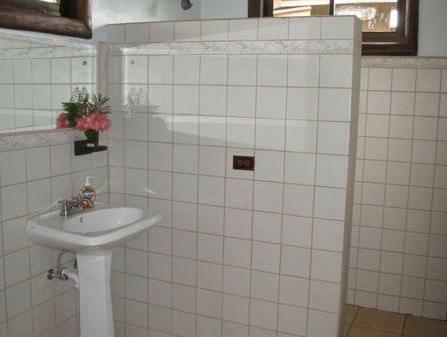 ﻿ Best Price on Maquenque Ecolodge in Boca Tapada + Reviews! 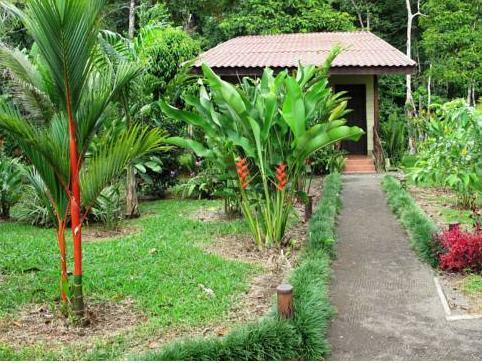 Amid a tropical forest, these bungalows are the perfect site for guests to go canoeing at the nearby lake, or enjoy the outdoor pool and gardens. The property has its own fruit orchard. Maquenque Ecolodge’s bungalows have private terraces with a seating area overlooking the lake and feature private bathrooms with showers and toiletries. The property harvests 70% of the orchards produce and the on-site restaurant prepares with it local dishes. Maquenque Ecolodge also has a bar. About 2.5 mi away guests will be able to find other food options. Hiking in the premises or go for a horse ride are some of the activities offered to guests. The property may also help with the arrangements for boat tours to Boca San Carlos or going bird watching. San Carlos River is 328 feet from the property and the town of Boca Tapada is 2.5 mi away. San Jose International Airport can be reached in a 3-hour drive. Please note that the reception is closed from 21:00 hours until 6:00 hours. Guests arriving outside reception opening hours are kindly requested to inform the hotel in advance. Contact details can be found on the booking confirmation. Please note that children under 7 are not allowed in the Tree Houses Dinner with additional cost and MANDATORY for reservations on the following dates: • December 24th : Christmas Dinner • December 31st: New Year¨s Eve Dinner • Price per person: $70.00 USD i.i Includes: Appetizer, Main dish, dessert, wine or cocktail to toast and life music.